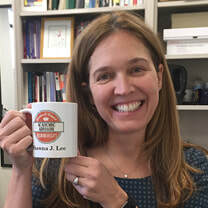 Dr. Shawna J. Lee is Associate Professor and Director of the Parenting in Context Research Lab at the University of Michigan School of Social Work. 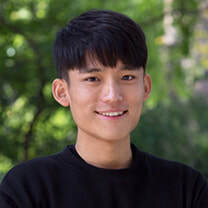 Dr. Lee has published more than 45 research articles and book chapters, with primary focus on child maltreatment prevention, fathers' parenting behaviors and father-child relations, and the effects of parental corporal punishment on child wellbeing. Her research has been funded by the National Institutes of Health, U.S. Department of Agriculture, Centers for Disease Control and Prevention, as well as the Michigan Department of Health and Human Services and the Michigan Health Endowment Fund. For a full list of publications, presentations, and grants, please see Dr. Lee's CV. 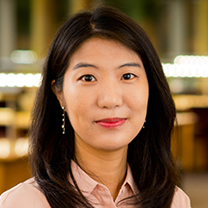 In addition to her contributions to the social work profession through research and teaching, Dr. Lee engages in extensive professional service and community-based practice. She leads the design, implementation and evaluation of an intervention for low-income fathers, in collaboration with Healthy Start home visitation program sites throughout Michigan. Dr. Lee is an active member of the American Professional Society on the Abuse of Children (APSAC), where she recently helped to write the APSAC Position Statement Against the Use of Corporal Punishment. Dr. Lee completed the Joint PhD Program in Social Work and Psychology at the University of Michigan in 2005, where she was a National Institutes of Health pre-doctoral trainee in prevention research. She was a post-doctoral research scholar at the Columbia University School of Social Work. She teaches courses in research methods, program evaluation, social policy, and on specialized topics such as intervention to reduce use of corporal punishment. Heather A. Knauer is a post-doctoral research fellow at the UM School of Social Work. She completed her PhD in Health Policy in 2016 at the University of California, Berkeley School of Public Health. Dr. Knauer also holds a Masters of Science in Public Health in Population, Family, and Reproductive Health from Johns Hopkins School of Public Health, and an BA in Child Development from Tufts University. 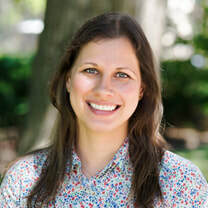 Dr. Knauer’s research centers on social contexts that affect parenting behaviors and early childhood development, with experience evaluating parenting education programs in low- and middle- income countries. She is currently a Co-PI on an evaluation of a dialogic reading and book distribution program in Western Kenya, and preparing to publish her dissertation on parental engagement and stimulating play in indigenous communities in Mexico. Garrett Pace is a doctoral student at the Joint PhD Program in Social Work and Sociology. His primary aim as a scholar is to promote child and family well-being. 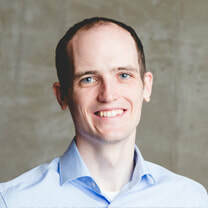 His research examines the implications of harsh punishment in children's lives and the influence of fathers on children's socioemotional development. Kaitlin P. Ward is a doctoral student at the Joint PhD Program in Social Work and Developmental Psychology. Her research interests include the influence of family relations on child outcomes, testing the efficaciousness of individual and family interventions, the role of father involvement in child socioemotional development, and child maltreatment prevention. 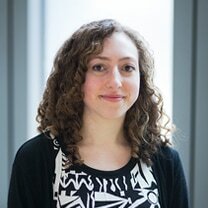 Kaitlin is also interested in employing advanced statistical techniques to better understand disparities in child outcomes. Parker Logue graduated from the University of Michigan with a B.A. 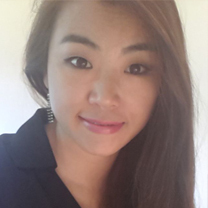 in Psychology and is currently gaining research experience before attending graduate school. 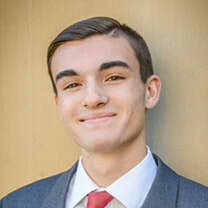 His interests include helping at-risk children and their parents achieve desirable life outcomes as well as examining how family dynamics relate to child outcomes. 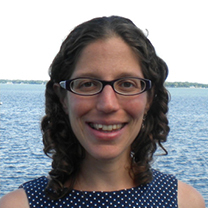 Dr. Tova Walsh is Assistant Professor of Social Work at the University of Wisconsin-Madison, where she is also a BIRCWH (Building Interdisciplinary Research Careers in Women’s Health) Scholar and a Faculty Affiliate at the Institute for Research on Poverty and Center for Child and Family Wellbeing. As a BIRCWH Scholar, she is supported by the National Institute of Child Health and Human Development (K12 HD055894). Dr. Walsh completed a joint doctoral degree in social work and psychology at the University of Michigan in 2013, where her research was supported by a Doris Duke Fellowship for the Promotion of Child Wellbeing and a Kellogg Fellowship in Children and Families. She completed her postdoctoral training in the Robert Wood Johnson Foundation Health & Society Scholars Program at University of Wisconsin-Madison. Dr. Walsh's current research centers on the experiences and support needs of men across the transition to fatherhood, and the experiences and support needs of mothers of young children serving in the United States military. Through her research she aims to inform the provision of support that is responsive to the needs of young children, parents, and families. 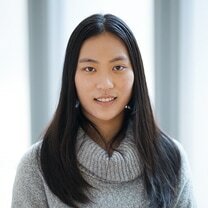 Dr. Julie Ma is Assistant Professor of Social Work at the University of Michigan-Flint. She completed her doctoral degree in social work at Michigan State University in 2015. Dr. Ma's primary research interests center around the effects of neighborhood and family processes on the well-being of children. 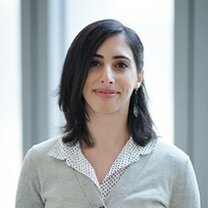 Her research builds on her experience with parents of young children in disadvantaged contexts. 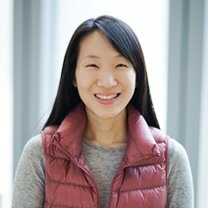 Dr. Ma's current research focuses on the risks of neighborhood disorganization, parental corporal punishment and substance abuse on behavior problems and maltreatment in early childhood. Sacha Klein, Ph.D., M.S.W. is an Assistant Professor at the School of Social Work at Michigan State University (MSU) where she teaches social policy, community and organizational leadership, and child welfare. Dr. Klein also directs MSU’s Advocacy Scholars program. Her research focuses on child welfare, particularly the prevention of child maltreatment; early care and education for children in the child welfare system; neighborhood effects on parenting and child maltreatment; and racial/ethnic disparities in child welfare involvement. She has published more than a dozen research articles on these topics. Currently, Dr. Klein is a principal investigator for three projects: an evaluation of a parenting program for caregivers of teenagers in the U.S. child welfare system; a feasibility study of the Pew Charitable Trust’s recommendations for measuring home visiting system performance; and an evaluation of a multi-site, statewide in-service training program for child welfare professionals, caregivers, and leaders in Michigan. Dr. Klein's social work practice experience includes serving as a Society for Research in Child Development Policy Fellow with the U.S. Administration for Children and Families. She was also the Policy Director for First 5 LA and the Child Welfare Policy Director for the Association of Community Human Services Agencies (ACHSA) in Los Angeles County. Giselle Pérez-Aguilar is a graduate student at the School of Social Work with a concentration in Mental Health. She holds a Bachelors Degree from the University of California, Berkeley, where she engaged in several research projects and a culminating senior thesis exploring obesity among low-income Latina women. Her current research interests include trauma-informed substance abuse treatment for adolescents, U.S Latino health disparities and access, and college access for first-generation minority students. 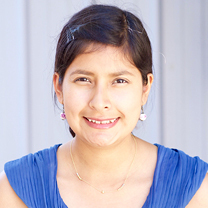 Giselle is a recipient of the School of Social Work Dean’s Scholarship and a Detroit Clinical Scholar. 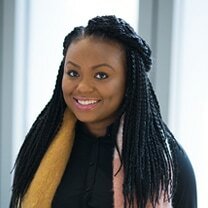 Brianna Belcher is a graduate student at the University of Michigan School of Social Work with a concentration in Interpersonal Practice and practice area in Mental Health. She will graduate Winter 2017 with a Masters and will proceed to obtain a Licensed Clinical Social Worker certification. 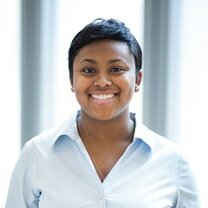 Brianna is a member of the Detroit Clinical Scholars and Vice President of the Association of Black Social Workers. She is a Research Assistant of the Parenting in Context Research Lab, a Science Instructional Assistant for Wolverine Pathways and an ABA Therapist. Brianna completed her Bachelors of Science in Human Development and Family Studies at Michigan State University and completed a Child Life Practicum at Sparrow Hospital. Her research interests include parental involvement, crisis intervention, trauma, and mental health. 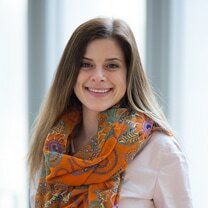 Amber McNamara is a graduate student at the school of social work with a concentration in social policy and evaluation, and a certificate in child welfare. She will complete her MSW degree in July 2017. 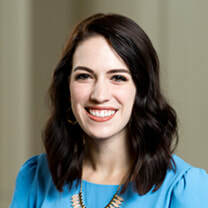 She holds a bachelors in social work from Evangel University, where she completed research on the effectiveness of specialized wraparound services for children in foster care. Her research interests include implementation evaluation, preventative services, foster care and adoption services, and trauma informed practice. Amber is currently an intern in the Evaluation department at Wolverine Human Services and has perviously completed an internship with Missouri Alliance for Children and Families. Rania Hannan is a graduate student at the School of Social Work with a concentration in Community Organizing and a minor in Interpersonal Practice. She will complete her MSW degree in Winter 2016. She holds a Bachelors Degree from Oakland University, where she completed an honors thesis on theory of mind and aging. 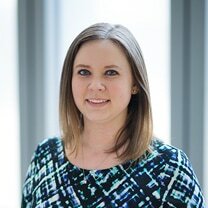 She currently works with Dr. Lee as the lead Research Assistant for the Genesee County Healthy Start Engaged Father program, developing and implementing father-focused activities in Genesee County which includes Flint, Michigan. Her research interests include parental involvement, second generation Americans, housing insecurity, and mental health. Rania previously completed internships with Groundcover News in Ann Arbor and MI Alliance of TimeBanks in Pontiac. 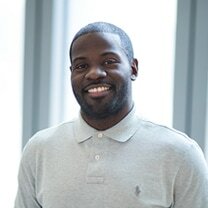 Riley is a graduate student at the School of Social work, participating in Detroit Clinical Scholars. She graduated from the University of Michigan with a B.A. in Psychology. As a graduate student she has a concentration in mental health. She is interested in trauma-informed treatments for children and adolescents. Other research interests include parental involvement, mental health, and substance abuse in the African American demographic.